Yesterday, we received word from a variety of DL readers whose Samsung Galaxy Note 3 pre-orders from Verizon had left the warehouse en route to their homes. Some of them showed estimated arrival dates of October 10 (launch day), which surprised us a bit since we often see pre-orders arrive a day early. Well, it looks like at least one has made the trek from Big Red back room to customer front door a full 24-hours before official launch. 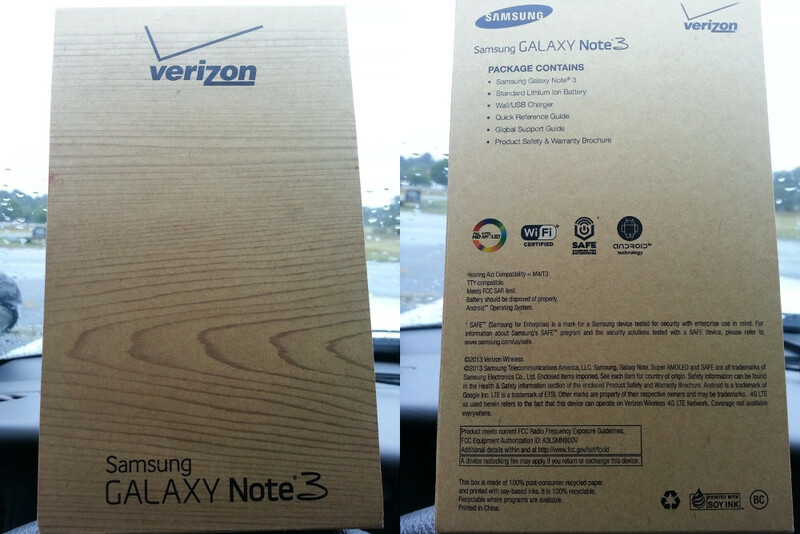 Reader Jason sent over a bunch of pictures of his Note 3, Verizon bloatware and all, for us to check out. 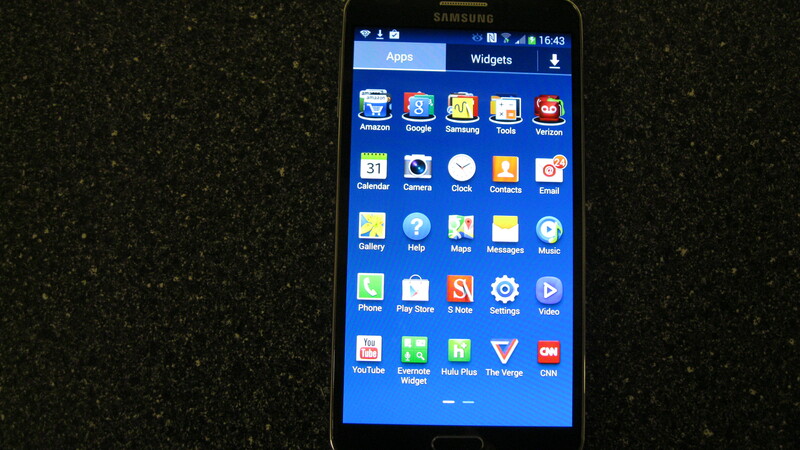 As expected…it’s a Galaxy Note 3. But in case you didn’t believe Verizon when it said that this version of their Note wouldn’t sport a VZW-branded home button, these real life pictures of the phone should finally ease your mind. There she is, brand-free. 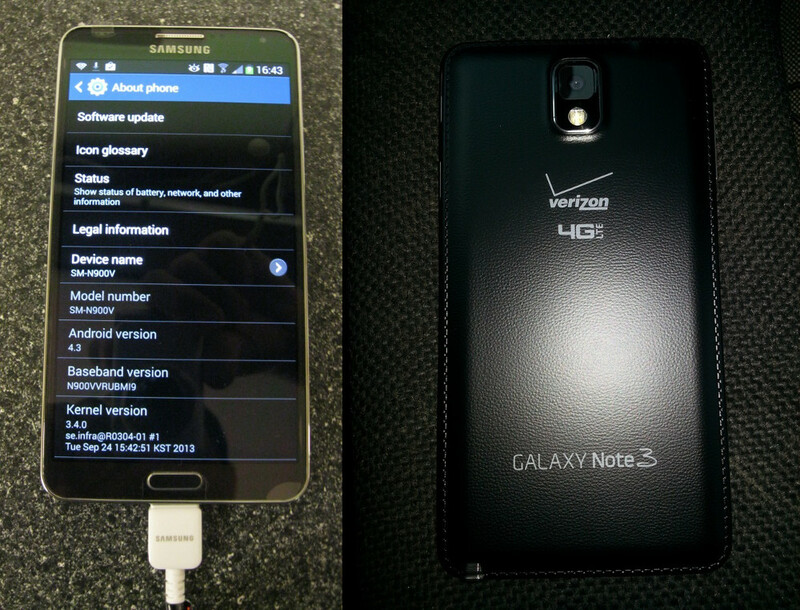 The backside, of course, still includes two Verizon-related logos, but you expected that. And just for fun, here is a look at the bloatware setup. Verizon and Samsung were kind enough to toss all pre-loaded spam into easily accessible folders at the top of the app drawer. You have bloatware folders for Amazon apps, Samsung apps, and Verizon specific goodies. Settings>General>Application manager>TURN OFF. Anyone else receive their order? Feel free to drop your first impressions in the comments!